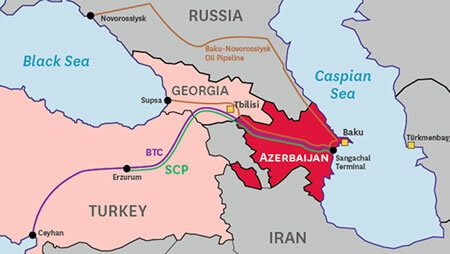 In addition to its leading role in Azerbaijan to secure the energy supply and the local development of the energy sector, SOCAR is acting on international markets in exporting and in taking working interests in joint venture. To fulfill its mission, SOCAR intends to deploy its business model of vertically integrated international energy company resting upon advanced experience on operation efficiency, social and environmental responsibility. – Bulla Deniz Area 2 on the far southeast side of the Bulla-Deniz field by a depth of 6505 meters where preparations are being made for well completion. 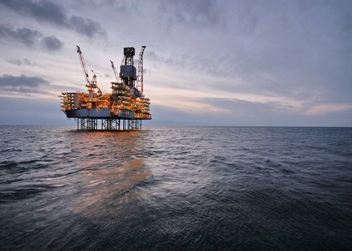 – Shah Deniz is one of the most important field in the Caspian Sea with 7 companies involved (Statoil– 26%, BP – 25%, SOCAR – 10%, LUKAcip – 10%, NİKO – 10%, Total – 10%, TPAO – 9%) where BP is the operator. – Azerikimya PU to produce Azerikimya” produced 53,500 tons of polyethylene, 28,500 tons of propylene, 21,500 tons of butylene-butadiene cut, 51,800 tons of pyrolysis condensate, 10,500 tons of isopropyl alcohol, 3,300 tons of propylene oxide, 7,100 tons of alkali, and 2,700 tons of liquid chlorine. with its own chemical engineering institute. – Petkim in joint venture with and under the operatorship of the Turkish TPAO to produce low-density polyethylene, high-density polyethylene, polypropylene, polivinil chloride, ethylene glycol, purified acid, aromatic hydrocarbons,ethylene–propylene, chlorine alkali, vinyl chloride monomer, plastic works and phthalic anhydride. In respect with the significant amount of resources still to be developed in Azerbaijan, SOCAR’s strategy will continue in the same way to maximize the profit from the local resources around its fully integrated upstream–downstream business model. Compared with other national oil companies, SOCAR goes a step further, on the Chinese or Russian model, with its own engineering companies and shipyards. – Downstream: $15 billion Baku Refinery and Petrochemical complex for 2018 and the Aegean Refinery in joint venture with Turcas to become the largest refinery and petrochemical complex in Turkey with a capacity of 10 million tons of crude oil per year in 2015. – Shipyard: Construction of a new shipyard in joint venture with the Singaporean Keppel Fels to take 10ù of the new entity to build the platforms and the fleet of vessels required to maintain the actual and coming infrastructures. 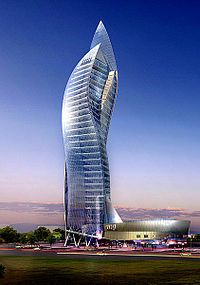 Being well diversified between oil and gas and condensate products and highly integrated from the upstream to the downstream and petrochemical up the engineering and shipyard facilities, SOCAR holds in hands all the leviers to drive its local growth toward a regional market leadership in south central Europe. A pretty neat idea and a fitting tribute, you might think.